In grade six my friend brought his discman to school. His older brother was eighteen and loved the Canadian band The Tragically Hip. I memorized almost every song on that CD and immediately went to the library to take out some of their past CD’s. The Tragically Hip are arguably, one of the greatest Canadian Bands ever and it wasn’t only their music but the poetry in their lyrics that made them famous in the world and as Canadian icons. Sadly, the lead singer, Gord Downie, passed away from brain cancer last week. It was rare and aggressive and he was only 53 years old. The Hip did their last tour across Canada after Gord announced his condition, including a stop in my home city where it was impossible to buy tickets. The tour ended early as Gord declined quickly. 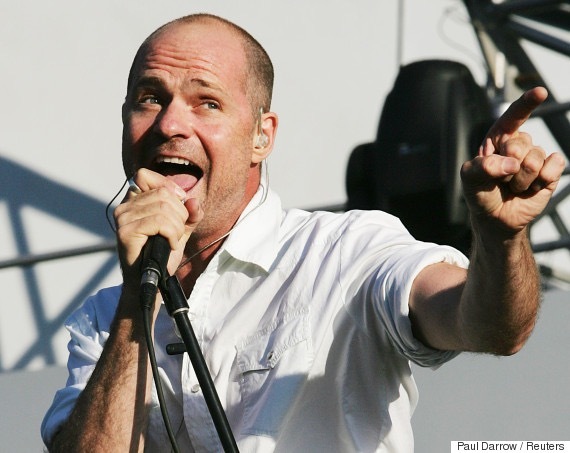 “Gord Edgar Downie formed the Tragically Hip with Rob Baker, Johnny Fay, Davis Manning, and Gord Sinclair in 1983. Saxophone player Davis Manning left the band and guitarist Paul Langlois joined in 1986. Originally, the band played cover songs in local bars and quickly became famous once MCA Records president Bruce Dickinson saw them performing at the Horseshoe Tavern in Toronto and offered them a record deal. Use The Tragically Hip’s song “Ahead by a Century,” as a source of inspiration for any form of creative expression (including but not limited to short stories, poems, lyrics, artwork, photography, etc.). Alternatively, If you are a musician, use this as an opportunity to showcase your own work. This entry was posted on November 3, 2017 by mandibelle16 in Music Prompt, Rock/Pop, Uncategorized and tagged Ahead by a Century, brain cancer, Canadian, Gord, Gord Downie, Icon’s, lyrics, music, poetry, The Tragically Hip.